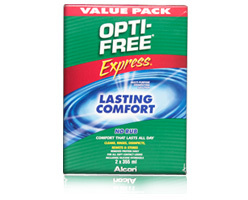 Optifree Express MPDS Lasting Comfort Formula provides lasting comfort with the convenience of 'no rub'. It is also effective at cleaning, disinfecting and storing soft contact lenses, including silicone hydrogels. 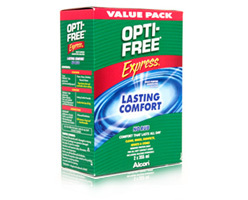 To learn more about Optifree Express contact lens solutions.